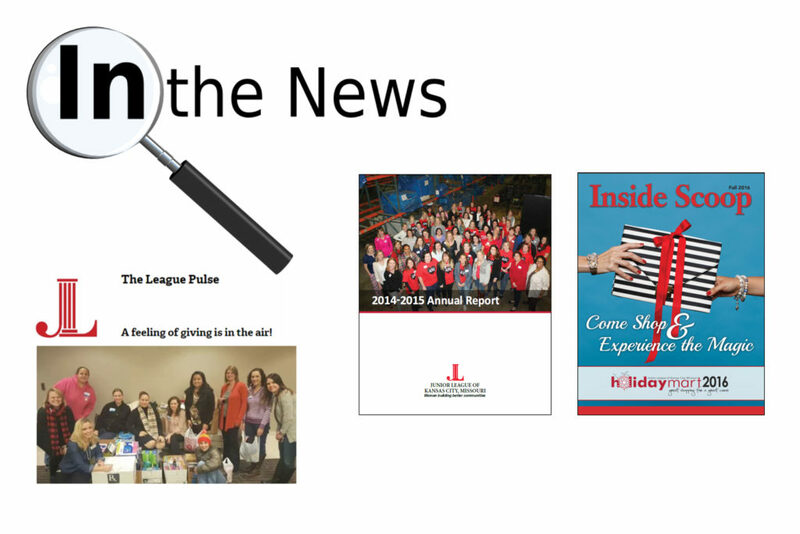 Learn more about the Junior League of Kansas City, Missouri! Annual Reports – our Annual Reports give a thorough picture of a year in the League. Inside Scoop – our lively and informative membership magazine, Inside Scoop, tells you the stories of our organization: the people, the programs and the events. The League Pulse Blog – our twice monthly blog gives informative snapshots of life in the League, with profiles of our members and partner agencies. In the News – check here for recent press releases about League people and events.